Like a lot of people, I was looking forward to the release of the new $1299 (body only) Fuji X-T1 today. Perhaps naively, I thought Fuji might use this opportunity to get serious about hybrid still/video cameras - until I saw the specs. Yes, it records at 1080/60p - something just about every still/video camera manufacturer except Canon and Olympus have figured out how to do - but only 14 minutes of continuous video? And a 2.5mm mic jack? You've got to be kidding me. This is marching backwards. Canon ditched the 12 minute limit two years ago. And Panasonic finally got rid of the 2.5mm jack with the GH3 last year. I can't tell from the specs, but I doubt they'll have a decent video bit rate, audio metering or manual audio gain control. Sadly, this looks like another video fail from Fuji. 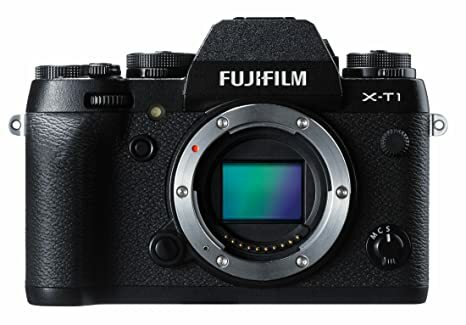 I'm a big fan of the X-Trans sensor for still photography and anyone who has been waiting for a weathersealed DSLR-styled" X-Trans still camera should definitely buy the X-T1 - but it is clear that video continues to be an afterthought for Fuji, so, unless the video image quality turns out to be phenomenal, I won't be interested in buying, renting or recommending this camera for video. Can't wait for the 200mbps 4K Panasonic GH4K announcement on February 7th (hat tip to 4/3 rumors for the date)! Agreed, am very much looking forward to the GH4K announcement!